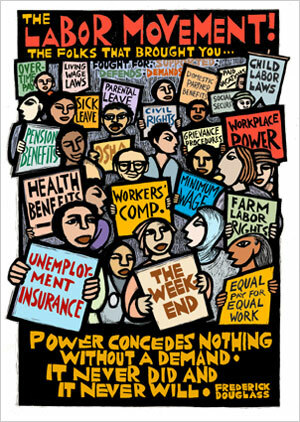 Comments Off on Labor Organizing: Fighting for Justice! Justice for Janitors, Washington DC 1994-95, on major street actions including bridge blockades ultimately lead to city-wide agreements for Local 82. United Auto Workers – training and support for the RADD – Radical Action Disciple Deployment Teams, Region 1. Justice for Janitors in LA and Boston – during several successful contract fights, including a student occupation of the administration building. Justice for Janitors, Denver – suburban organizing campaign during downtown contract fight that was ultimately successful for Local 105. HERE Local 11 Campaign against Lowe’s Hotel, great week of action – no contract I think. UNITE laundry workers strike and action at the National Convention in Las Vegas 1998. Catholic Healthcare West Statewide Hospital campaign, during the set up and first year. I was the Southern California Coordinator. It was ultimately successful. 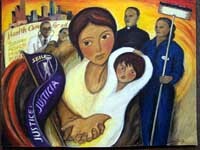 Justice for Janitors in Houston, Texas, 2006 winning the best first contract in the history of the union. Video of the Transwestern occupation. Laborers Union fight to make Home Builders accountable to residents and workers during the summer and fall of 2009. Home Care Workers in California take over the Capitol in June of 2012 saving jobs! On May 12, 2011 collaboration with the NY Teachers Union that resulted in a 20,000 person march on Wall Street to say Make the Big Banks Pay! Michigan AFL-CIO/UAW fightback campaign against the ALEC proposed Right to Work legislation which was passed by the State Legislature in December 2012.